British parliamentarians have asked Mark Zuckerberg to give them evidence in person on the Cambridge Analytica scandal. His usual tactic when pressed by MPs is to distance himself and send representatives instead. With Facebook stock tumbling and regulators circling, Zuckerberg is in a vulnerable position. Refusing to appear could be another sign of weakness in an increasingly personal crisis. 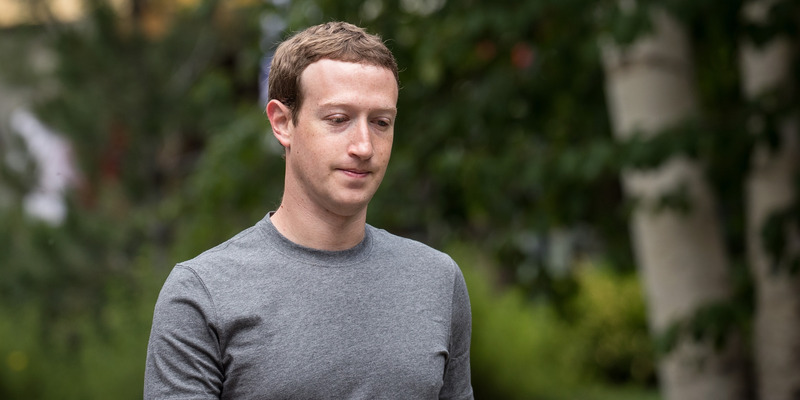 Mark Zuckerberg has been summoned to appear before British lawmakers to explain Facebook’s role in the Cambridge Analytica (CA) scandal – another sign the crisis is becoming personal. The founder and CEO was told to appear before Parliament’s Digital, Culture, Media, and Sport Committee (DCMSC) to give oral evidence on claims that Facebook was too lax in protecting its users’ data from political exploitation. The request is more proof that the CA data scandal, which saw user profiles mined for extensive personal information in breach of Facebook rules, is becoming a personal test of leadership for Zuckerberg. There is also a financial cost to the scandal, which has wiped tens of billions from Facebook’s share price as US, British, and EU regulators launch investigations. Parliament can not compel Zuckerberg to appear, as he is a US citizen (it is also unclear to what extent MPs can force British citizens to appear). But should he choose not to answer questions himself, it will add to the impression that he is hiding from scrutiny and trying to distance himself from the situation. And if he does, the reputational damage could be huge. Select committee appearances are often combative and embarrassing for those giving evidence. The committee, which labelled the scandal a “catastrophic failure of process,” has previous asked Zuckerberg for evidence as part of its inquiry into fake news. However, Zuckerberg has never answered himself. Instead, policy officials and spokesmen have submitted evidence and made personal appearances. 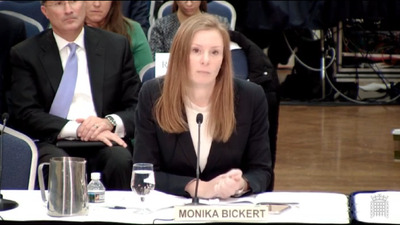 parliamentlive.tvMonika Bickert, Facebook’s Head of Global Policy Management, gives evidence to MPs at a special evidence session in Washington, D.C. in February. In Tuesday’s letter, committee chair Damian Collins said Zuckerberg’s lack of engagement with parliament has led to only “partial” and “misleading” answers being heard, as officials struggled to respond to questions above their pay-grade. “It is now time to hear from a senior Facebook executive with the sufficient authority to give an accurate account of this catastrophic failure of process. There is a strong public interest test regarding user protection. “Accordingly we are sure you will understand the need for a representative from right at the top of the organisation to address concerns. Zuckerberg has been given a deadline of March 26 to respond. Click here to read Business Insider’s complete coverage of the Cambridge Analytica scandal.